In my last post, I mentioned one aspect of Michael Feinstein’s performance that so inspired me: not just singing a song but also talking about it, giving the background about songwriters, songs, and singers. Depending on the venue, I now do the same when I perform. 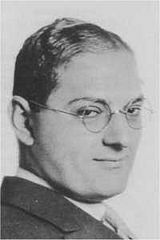 ”As Time Goes By”, one of the most popular songs ever, was written by someone you probably have never heard of, Herman Hupfeld of Montclair, New Jersey. When I play and sing for Montclair-area senior citizens, some of them have heard of Hupfeld and even know on which street he lived. “Our Love Is Here to Stay” was the last melody George Gershwin wrote. Ira wrote the lyrics after his brother’s death. If you listen to them, you might agree with me that it’s a love song from Ira Gershwin to his deceased brother. Lew Fields was a well-known vaudeville comedian. His daughter Dorothy became the first female lyricist, writing the lyrics to over 400 songs and 15 Broadway shows. Early in her career, she wrote “I Can’t Give You Anything But Love, Baby” and “On the Sunny Side of the Street.” Dorothy Fields and Jerome Kern were scheduled to write the songs for “Annie Get Your Gun”, but Kern died suddenly. The project was given to Irving Berlin, who wrote all of the music and lyrics in just 10 days! Where do I find all this information? Well, I must thank my husband Roger in large part. Every year for my birthday I receive a biography or autobiography of a famous composer, lyricist, or singer, such as George Gershwin, Ira Gershwin, Richard Rodgers, Dorothy Fields, or Michael Feinstein. I have also learned a great deal reading Jonathan Schwartz’s autobiography, “All In Good Time”, and listening to his weekend radio shows. As the son of composer Arthur Schwartz (“Dancing in the Dark”, “Haunted Heart” etc. ), Jonathan grew up knowing many of these musicians personally. Whether I’m playing the piano and singing at a restaurant or a private event, I know how much my audience enjoys this “musical trivia”, because they tell me how much it enhances the songs. According to today’s New York Times, Michael Feinstein has just been appointed the director of a new popular music series at Jazz at Lincoln Center. He will be creating programs that focus on “the relationship between jazz and songwriting.” How wonderful! The article mentions George Gershwin, Irving Berlin and Cole Porter as “an integral part of the jazz world.” Right on! 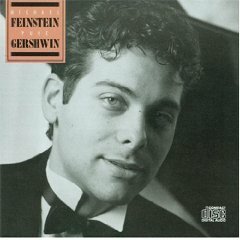 Michael Feinstein is the musician who has most influenced my career. I still remember the night I first saw him; it was at the Oak Room of the Algonquin Hotel, New York City, over 20 years ago. That night I had no idea just how much of an impact he would have on me. At age 20, Michael was introduced to Ira Gershwin, who hired him to catalogue George and Ira’s extensive musical archives, stored at Ira’s home in Beverly Hills. This led to a close friendship with Rosemary Clooney, Ira’s next-door-neighbor. Liza Minnelli, who also became a good friend, introduced Michael to the L.A. cabaret world. The rest, they say, is history. If you’ve followed Michael’s incredible career, you may have seen him in person, perhaps at the Paper Mill Playhouse in New Jersey, or at his very own cabaret spot, Feinstein’s at Loews Regency in New York City. If so, you know what a dynamic performer he is. If you’d like to learn more about his life, I highly recommend Michael’s autobiography, “Nice Work If You Can Get It: My Life in Rhythm and Rhyme,” published in 1995.